Because the Anne of Green Gables miniseries premiered 30 years ago this week, we're illustrating an interview from the CBC Archives...with GIFs. ...then check out this interview from the CBC Digital Archives. On Nov. 29, 1985, Vicki Gabereau interviewed Kevin Sullivan, the young producer behind the Green Gables miniseries, for CBC Radio. 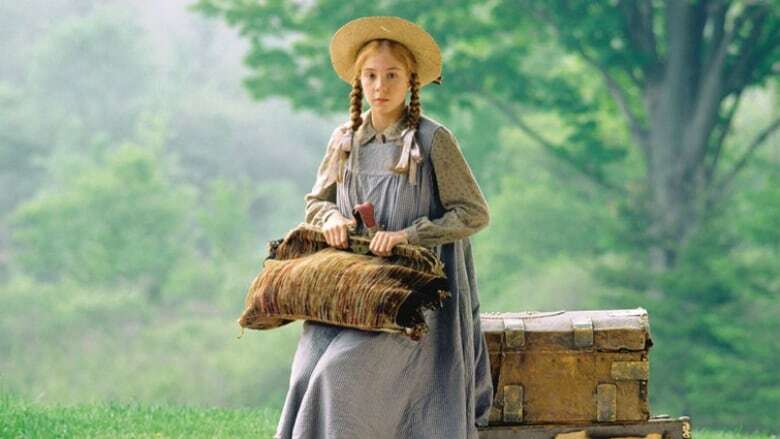 The TV special's big debut was still a few days away, and while Lucy Maud Montgomery's red-haired heroine hadn't disappeared from the public consciousness, there was no guarantee the program would turn into a phenomenon, one bigger than Anne Shirley's puffy sleeves. "The whole experience was almost enchanted," Sullivan tells Gabereau, sharing the story of how his Anne of Green Gables adaptation was made. Securing the rights to the novel, however, was another story, especially since it wasn't clear who owned them. It was a journey that was long and arduous, and Sullivan covers a few of the details in the interview. As he explains, he spent four years persistently pursuing the rights. And though various producers were after Anne too, he ultimately "got the copyright under control." As he puts it: "Maybe Lucy Maud Montgomery was looking down from above and said, 'Maybe it's time someone did something with my Anne.'" There were some hiccups, even so. During filming, for example, the cast and crew were struck by a flu epidemic. And before cameras could roll, there were other challenges facing the production. Funding was an issue, for one. A Japanese company was initially interested in backing Green Gables, but they wanted to take the shoot to Japan. The deal didn't succeed, so the production found new partners and Anne of Green Gables would be made in Canada. Even so, Sullivan soon realized there was no way the entire production could film in Prince Edward Island, Montgomery's home province and the story's setting. In the interview, Sullivan lets Gabereau in on a little behind-the-scenes secret. A lot of the scenes were shot in Ontario, but, he says, "it's very difficult to tell the difference, believe it or not." As the producer told Gabereau, he screened the film for the Montgomery family, and they mistook the Ontario locations for the real deal. "I've always had a feeling about Anne of Green Gables," Sullivan tells Gabereau, recalling the first time he heard the story as a child. "I remember being enchanted by the images, enchanted by the characters. It's just one of those things that always stayed with me." For more throwbacks like this one, visit the CBC Digital Archives.